For all of us who are often faced by daunting file and data management tasks on Windows, or have to port part of a code / algorithm from Linux to Windows, we know how irritating and sometimes challenging the task can be. I recently came across this wonderful open-source tool called Git for Windows, which is proving to be a great problem-solver in such cases. Amongst its many features, the Git BASH is probably the most powerful and useful for extensive Linux bash users. Git BASH lets you emulate the bash shell on a Windows environment and lets you perform basic BASH functions on any Windows file system. I’ve tried it myself, and I’m happy to report that Git BASH has allowed me to perform some nifty small operations on the Windows platform without needing to use LinuxLive USB or running a Linux OS. 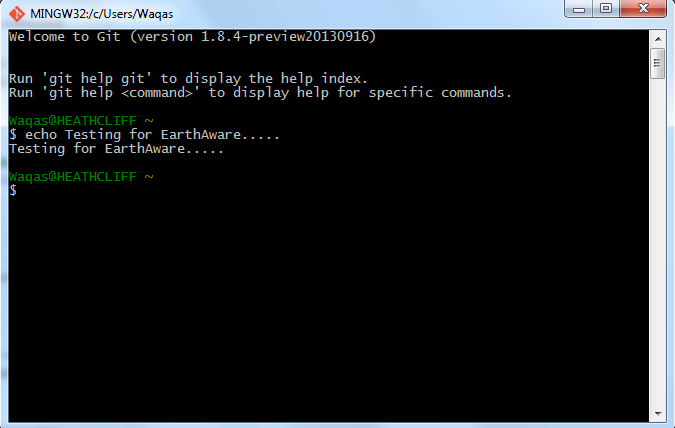 Try Git for Windows here. This entry was posted in Uncategorized on November 24, 2014 by WQ. 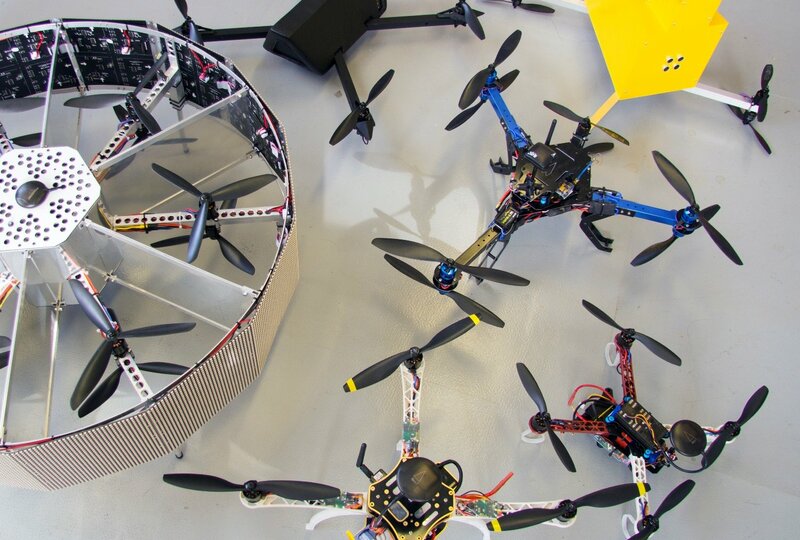 Virgin has come up with a good collection of UAV / drone applications in remote sensing, agriculture, conservation, disaster response, and more, on its Drones for Good page. Worth checking out. This entry was posted in Uncategorized on November 22, 2014 by WQ. 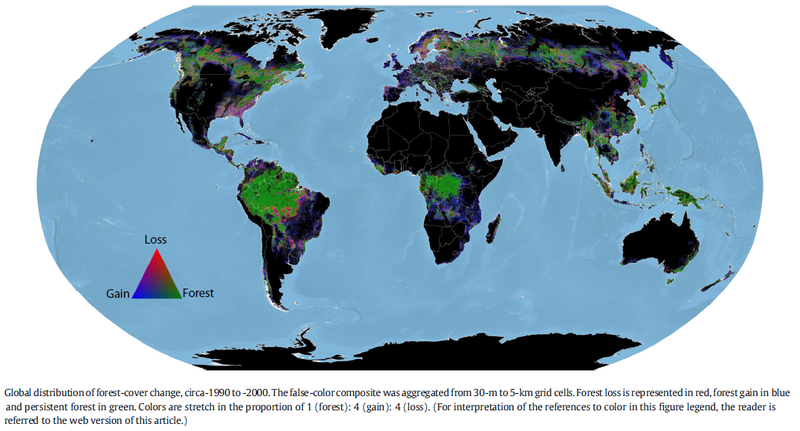 The availability and accessibility of global land and forest cover data sets plays an important role in many global, regional and national change studies. Recent developments in earth observing satellite technology, information technology, computer hardware and software, and infrastructure development have helped in the development of better quality land cover data sets. As a result, such data sets are increasingly becoming available, the user-base is ever widening, application areas have been expanding, and the potential of many other applications are enormous. How much is the South Asian region benefiting? I think we can benefit at the regional and/or at the national level. In the South Asian region, as we are well aware, lack of data and information has been one of the major limitations on policy and decision makers in addressing regional environmental issues. These issues include the development of greenhouse gas (GHG) inventories, the evolution of reducing emissions from deforestation and forest degradation (REDD) mechanisms, and the assessment of land degradation, as well as optimal land use planning. How accurate are these products? At different platforms debates and collaborations are going on to make global products more accurate and acceptable. Global scale study can’t come up to the demands of the national level scale. But based on our interest (land and/or forest cover change), we can get hold of the above-mentioned products, and after a certain levels of personal validation, these can be used and further analysed, instead of starting from scratch. This entry was posted in Uncategorized and tagged Earth Observation, Forests, Landcover, REDD on November 11, 2014 by Hammad Gilani.